The good people at Zenify sent me a whole case of their beverage to share and try for review. Zenify is another in the line of growing function drinks that are designed to relax and focus you by doing so. The beverage, Zenify, fits the function product well although I think they could have made a better logo to go along with the name. The first time Zenify I didn’t really know what to expect as there are not markings on the can at all that would lead to be a citrus beverage. The pour gave a little more hint, pale yellow at first lead me to think I was going to try a lemon based beverage. But I was soon corrected. The sharp sour note on the citrus aroma combined with the taste was that of a grapefruit like flavor, almost tropical on the aftertaste. As far as the function of the drink it used active ingredients such as l-theanine and GABA to promote relaxation, concentration and memory support. Although it takes a while to take effect I did notice a very slight change in my mood and focus level still while writing this review about one hour after ingesting Zenify. 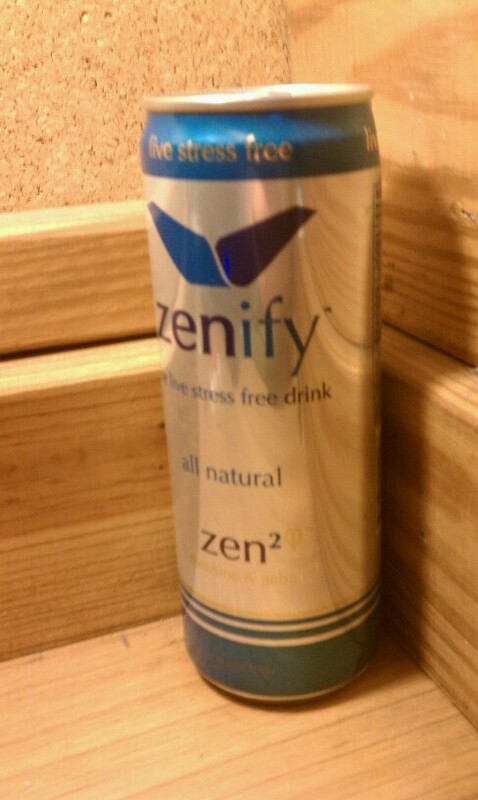 Although Zenify is not a drink I consider a everyday drink. The fact it’s a grapefruit drink that didn’t want me to dump an extra pound of sugar in it to consume is a good thing.